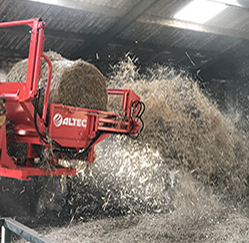 All the advantages of dust-free straw spreading … over width of 5-6 m (8 m as option). 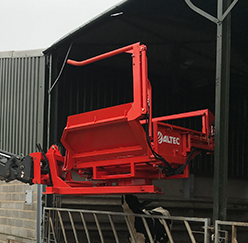 Dust free without any stone ejections means safety for users and livestock. 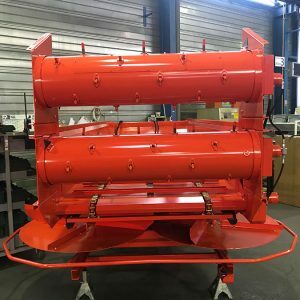 The principle : the separating rollers with their retractable fingers pull the straw (compacted by press action) and restore its full volume before it is spread out by the discs. 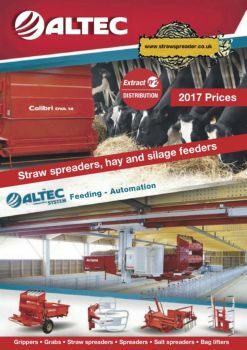 Better than by hand : The work is even, the litter ventilated and loose, it lasts longer, with key savings of straw, etc. 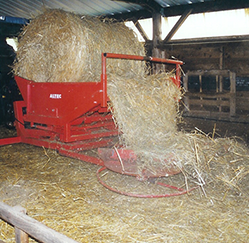 Flexible straw spreading with ejection to the side, over width 5-8 m.
The straw, after recovering its volume on the separating rollers, is ejected with flexible fingers. 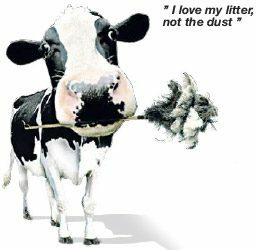 With no excessive dust or any ejection of stones, the litter is prepared gently with minimum power requirement.